Find brushes of optimal size, shape, and material for all your DIY painting jobs. Choosing colors for your next paint project can really occupy your time, as you pore over a spectrum of shade swatches. Yet to achieve smooth, complete, precise coverage, you’ll need to put a bit of thought into your brushes as well. 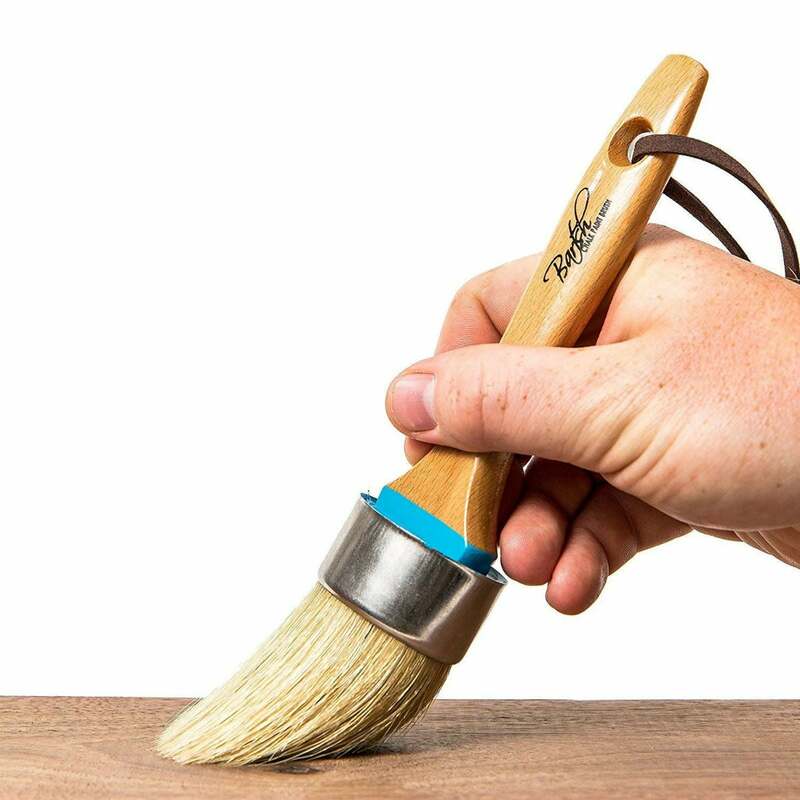 While many DIYers opt for rollers on large surfaces like walls, a brush provides greater precision while using less paint, as well as more versatility, creating both smooth and textured finishes, depending on your technique. And, of course, you’ll rely on brushes for trim and other detail work, as well as for painting furniture. What Makes a Great Paint Brush? Brushes are made of different materials and come in various shapes and sizes to suit specific products and tasks. Here’s how to determine what’s right for your job. Material. Brush bristles come in two major categories: natural, which are recommended for oil-based paints, and synthetic, which are best for water-based paints. Natural brushes are made of animal hair, like hog or badger—fibers with microscopic splits that hold more product to create a smooth finish. 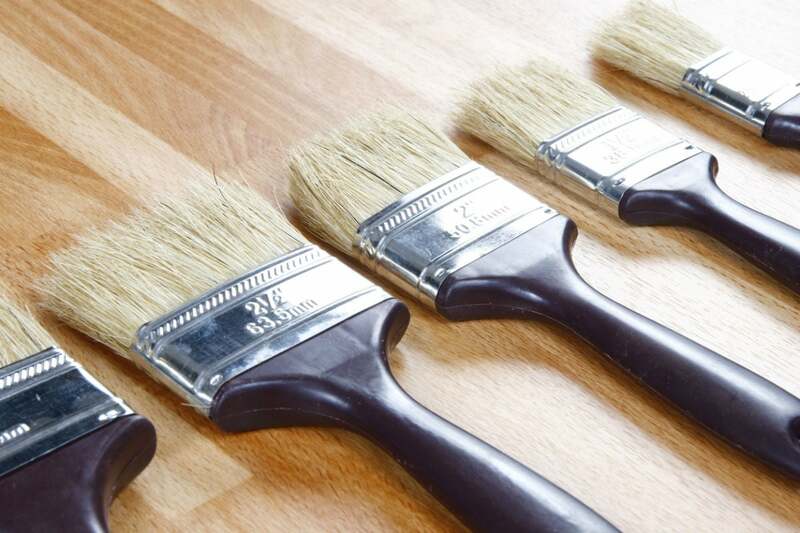 Choose a natural bristle brush when applying oil-based paints and top coats, varnishes, shellac, decorative chalk paint (for an antique look), enamel, and polyurethane. You’ll also get good results using a round, natural bristle brush to apply furniture wax. A synthetic brush made of high-quality polyester or a blend of nylon and polyester is better suited to latex (water-based) paint because natural bristles soak up water, becoming limp and less effective. Low- and no-VOC (volatile organic compound) paints, most of which are acrylic latex based, are also best applied with a synthetic brush. Both natural and synthetic brushes can last for years if cleaned and dried thoroughly after every use: Remove excess paint, wash with soapy water, rinse in fresh water, and let it dry on a flat surface. Size. Paint brushes for house painting typically come in sizes ranging from one to six inches. Generally speaking, the tighter the area you’re painting, the smaller the brush should be. A one- to two-and-a-half-inch brush is best for window areas, trim, and corners. A three-inch brush works best for doors, cabinets, and shelving and a four- to six-inch brush is designed for large, flat areas, like walls and ceilings. Square Cut: A four- to six-inch wall brush is ideal for large, flat surfaces, both interior and exterior. 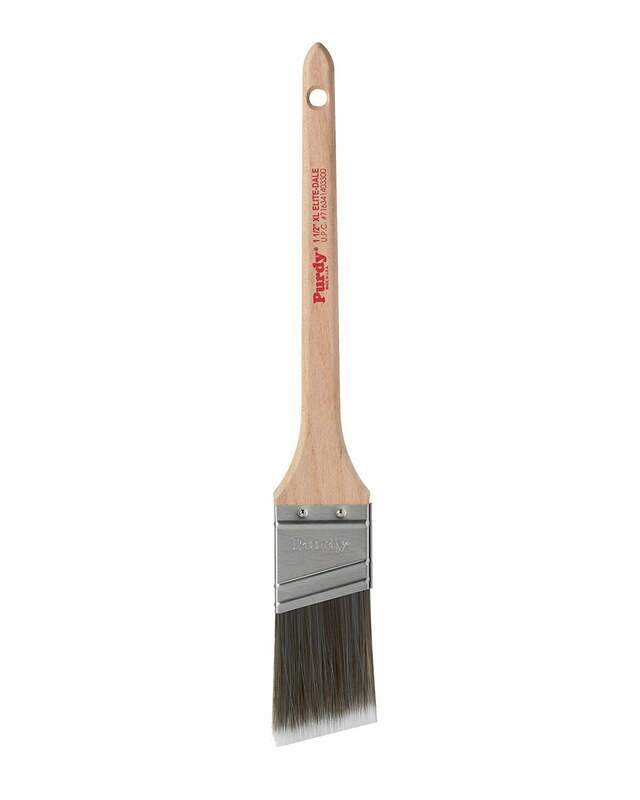 Use a large wall brush for painting walls, flat doors, and siding. With a good quality wall brush, you won’t need rollers—and you may even save on paint because brushes are more precise. Angle Sash: This brush was designed to paint window sashes, which fit inside the window frame and allow the panes to move up and down. That said, this short-handed, angled brush is excellent for a variety of detail work because it’s easy to maneuver and offers great stability. Use it for painting grooves, panels, edges, and corners—and reaching around obstacles, like a behind a toilet. Round Sash: These smaller brushes come in a range of sizes from 20 to 40mm. They are the best paint brushes for decorative painting (like faux finishes) and furniture, like chair and table legs, because the circular arrangement of bristles is conducive to 3D painting. Quality. A top-quality brush offers smoother, fuller coverage and a perfect finish, and while pricey (between $12 and $30, depending on size and bristle material) it can they last up to 20 years. You can tell a lot by the brush just at the hardware store if you know the signs of quality tool. “Flagged” bristles—slightly split at the ends—hold more paint and provide the best coverage. Flex bristle tips to ensure they spring back into shape. Bristles should also be shorter on the outside and longer toward the center, creating precision and control. Finally, bristles should be 50 percent longer than the width of the brush itself to pick up the ideal amount of paint, while providing maximum coverage and control. These well-priced, top-quality earn high scores from Amazon customers and are favored by consumers and industry experts too. With a blend of nylon and polyester bristles, this brush can handle both indoor and outdoor projects. Purdy’s XL Series, which scores 4.6 stars on Amazon, is designed for latex and oil-based paints, stains, and primers. The company states that “Purdy’s proprietary tipping and flagging methodology ensures exceptional paint distribution.” In other words, the high bristle quality will create smooth, full coverage. Tip: Store the brush in its wax-covered packaging after use to return bristles to their original state and fight mold growth. When it comes to trim, molding, windows, and tight spaces, this narrow angle sash brush, featuring Purdy’s proprietary nylon/polyester blend bristles, is hard to beat. It’s designed especially for low-VOC paints, which can be thicker than traditional latex paint and harder to apply. This detail brush receives 4.7 stars on Amazon. 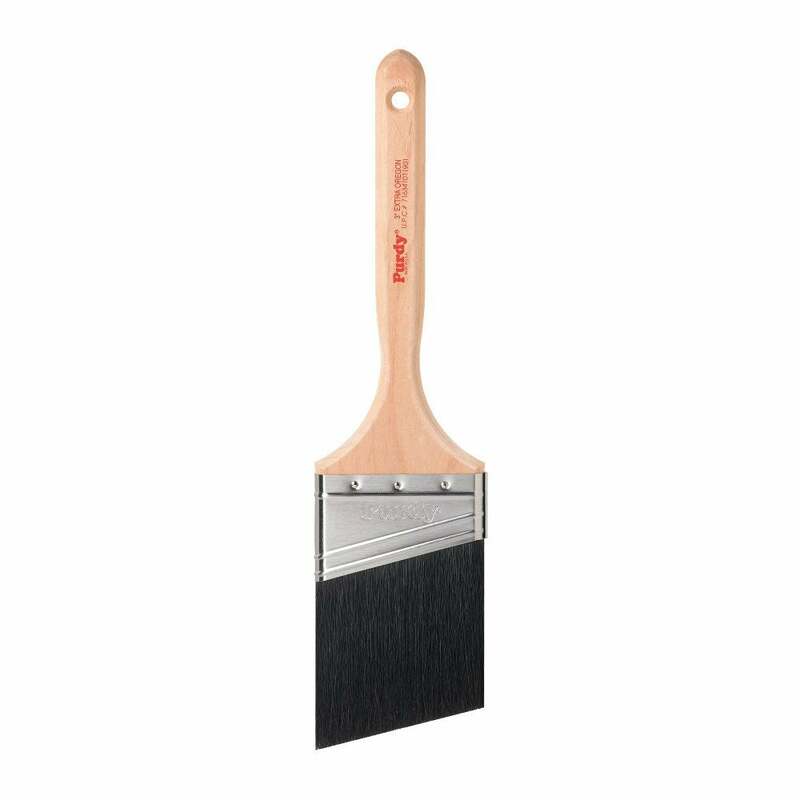 This short-handled angle sash brush helps create a perfect edge between ceiling and wall and—even trickier!—where two different paint colors meet. Amazon customers give this brush a respectable 4.9-star rating, and Steve John of Business Insider notes its comfortable proprietary handle design: “The brush feels like an extension of your hand and thus responds to slight motion variations, applying the paint right where you want it.” The synthetic polyester bristles work with all paint types, especially latex acrylics and water-based stains. The Bartsh round sash brush has a two-inch head made of 100 percent boar bristles. The company claims a “low shedding design” and maximum bristle retention to help the brush stay in shape. It’s ideal for painting and waxing furniture, and especially good for chalk paints. Amazon customers give the brush five stars, noting its ease of use and cleaning. This Bartsh brush also boasts a wooden handle and leather tie for easy drying and storage. 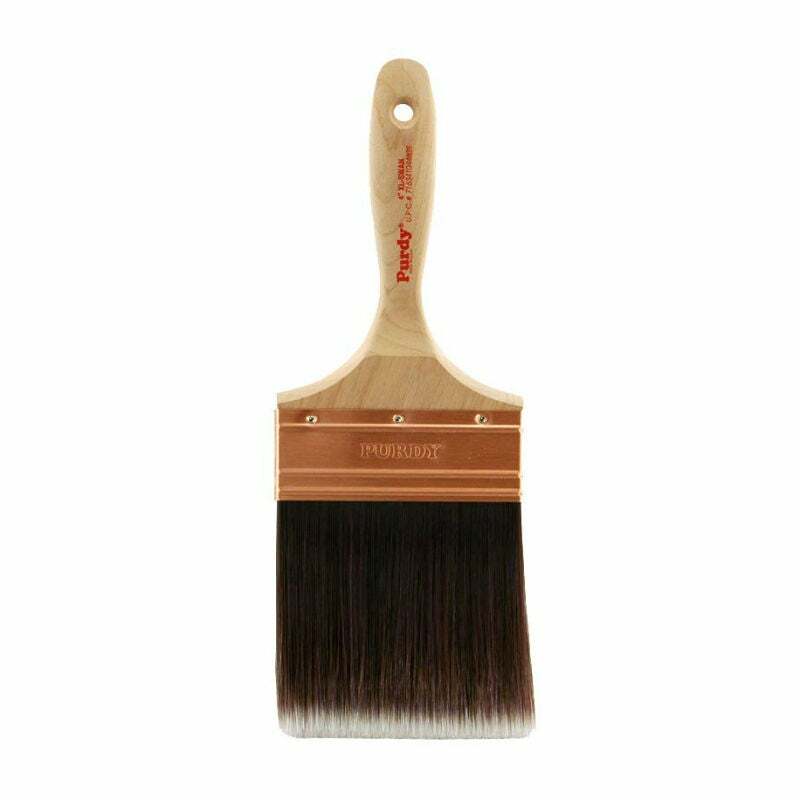 Amazon customers give this natural hog bristle brush 4.7 stars, praising the quality and smooth finish it provides, most notably on woodwork. Hog bristles hold more paint and disperse it more evenly than other materials—and these black China hog bristles prove more durable and long-lived than other brands. 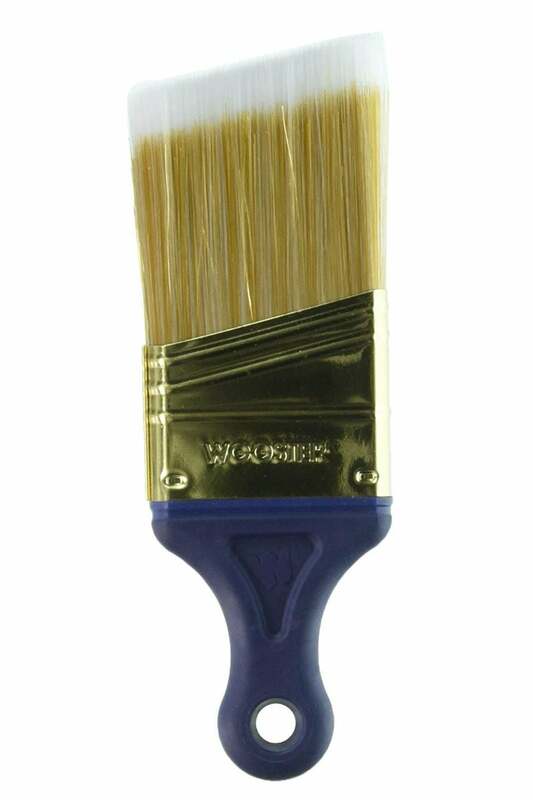 This angle sash brush performs best with oil-based paints, varnishes, and enamels. Excellent for bare wood floors, furniture, doors, cabinets, and concrete.